It’s a hot day in Oklahoma, and Kurt Russell has been working hard. At what, we’re not entirely sure. There may have been a throwaway line of dialogue about fixing cars or mending fences or digging ditches out on the interstate, but we can’t really remember. What we do know: except for the VHS cover, there does not appear to be a single moment in Silkwood that depicts him wearing a shirt. Shirt, hell, the fly of his Levi’s is open for most of the movie. This is refreshing, a flip of the gender script that feels long overdue even now, in 2014. In any other movie, the central character facing impossible odds and sticking to principles in the face of increasing adversity would be Russell himself. In Silkwood, he’s just the love interest, the eye candy. His function is to alternately comfort and aggravate the real hero, Meryl Streep’s Karen Silkwood, whose function is considerably more important: to fight a nuclear power company whose lax safety standards have endangered the lives of its workers. In the scene we’re watching, Russell is losing an argument that his character, Drew Stephens, is obviously not smart enough to win. At the pivotal moment, instead of offering a rejoinder or admitting defeat, he looks at Silkwood, holds his beer can high (a Coors Banquet, I’d guess), and pours it over his head. As rhetorical moves go, it’s not bad. Still, as one of two dramatic showers in the film, it pales in comparison to its sibling. After being exposed to radioactive material, Silkwood takes a painful and desperate shower, as emotionally gripping as it is futile. There is no hope of her ever being clean again. There’s a reason it’s the standout moment in the film, and one of the most famous movie scenes of all time: Meryl Streep at the peak of heart-rending vulnerability. 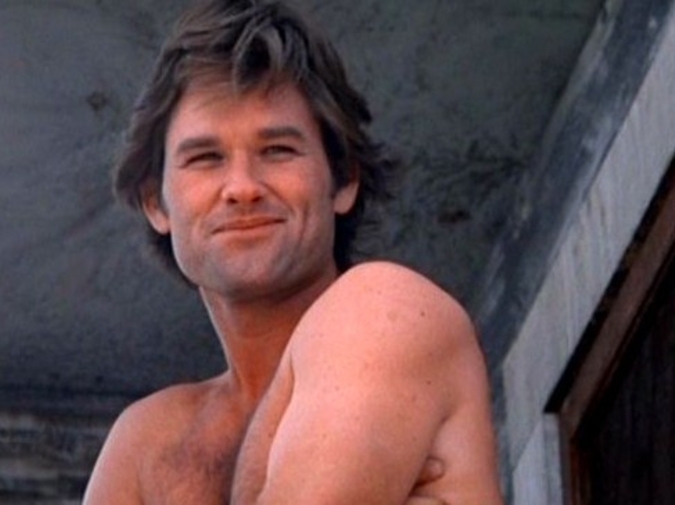 Kurt Russell’s Coors-soaked hissy fit, his show of pure brazen masculinity, is not particularly heroic by comparison. What we have in Silkwood, in Kurt Russell’s character, is a man confronted with his own limitations. And those limitations are considerable. Lately, I’ve been drinking a lot of beer. We’ve had a few heat waves recently in Oregon, and there’s no air conditioning in my apartment, which has made the brief ramp up to a single unseasonably warm spring in the Pacific Northwest harder to deal with than the Venusian hellscape of two dozen Atlanta summers. My drinking habits change abruptly when the weather gets warmer—aspirations toward anything dry-hopped or barrel-aged or high gravity fall away. Give me, instead, the clearest, the yellowest beer, the most filtered, the most pasteurized. Give me carbonated Wonder Bread. "Real beer." How you interpret that phrase, "real beer," says a lot about a person, I think. About who you are, or who you are pretending to be. For me, real beer will always be synonymous with cheap beer, your Pabsts, your High Lives, and yes, your Coors Banquets, their ice cold bodies sweating in a foam cooler on the porch, cold in your hand, so mild and refreshing that you can imagine how, if you were hot enough, you might mistake them for water. Specifically, I’ve been drinking a lot of Olympia, a west of the Rockies beer that I’d never heard of until I moved here from Georgia in September. The beer has its roots in the Pacific Northwest, although corporate consolidation has left it in the hands of the Pabst people. (It also happens to be the beer that Clint Eastwood lets his ape sidekick drink in Every Which Way But Loose. But that’s a story for another month). I’m not sure why I’ve been drinking it so continually, so obsessively, for the last few months now. It tastes good, sure, but only marginally better than PBR or MGD, or even Rainier, the Northwest’s more celebrated bread soda. It’s cheap, yes, but almost all of the comparable beers I’ve listed are cheaper. Something appeals to me about the can, a sepia scene of a bridge over a mountain stream, a warmly jagged horizon of Douglas firs rising up behind it, a line of white-capped mountains rising still higher, as if to suggest you’re drinking an even taller boy than you originally thought. The beer feels, in its small trivial way, like something truly new. And I think that’s what it comes down to, why I have enjoying it: It is one of the only things in my life that exists wholly in the present, that doesn’t draw me back into the past. I’ve always hated summer, hated the heat. Hate is not quite right—hate suggests agency, an option, like I had some control over how to feel about it. I’ve spent almost all of my summers in Atlanta, and how one reacts to an Atlanta summer is less a matter of liking or disliking and more a matter of survival. There would be as much use in me hating the heat as there would in a bug hating the heel of your shoe. Still, the lengthening of days, the chirping of the summer cicadas, the smell of simmering asphalt on the first warm day in late March—enough to induce panic attacks. More than the heat itself, it’s about what the heat represents. Having spent all but a few years of my adult life in academics, most of my summers have involved a desperate flailing after work, whether freelance, part-time, or permanent, struggling through endless days of resumes and bouts of self-loathing, my sense of self-preservation and my lack of willpower in constant battle over whether to brave the ten minute, ninety-seven degree walk to the corner store for Ho-Hos and beer. I spent the summer of 2013 looking for work, having finished my MFA in early May. By August, I was still unemployed, and my wife, Meagan, and I had let the lease run out on our apartment. We moved in with Meagan’s mother in Cobb County, where I spent my days in the basement engaged in the old battle. Resumes, self-loathing, poring over the household budget spreadsheet compulsively in hopes that disposable income would spontaneously generate. Out in the suburbs of Cobb County, the supermarket beer selection was left wanting. Or at least, the markups on the craft brews available were more than we would pay under the circumstances. I drank a lot of Yuengling, most of it on the sweltering front porch with my mother-in-law, doing my best to wait until five o’clock to do so, as if maintaining that last semblance of workday structure meant that I wasn’t completely lost. Over the years, the heat, the literal oppressiveness of the outside world, has become interchangeable for me with the more abstract pressures of money, employment, and economics. The plight of the over-educated and under-employed that I’d read about for years in think pieces, never really expecting to become one of them. When it comes to science, I’m more Drew Stephens than Karen Silkwood. I don’t know much. What I do know is that nuclear radiation is a transfer of energy, the transmission of heat. What is happening to Meryl Streep and her coworkers as they work in the proximity of alpha particles in the Kerr-McGee plant is not unlike what is happening to Kurt Russell’s bare back out there in the sun, as he lays bricks, paints houses, inseminates pigs, whatever. Particles are agitated, heat is transferred. It’s a question of degrees. His back will begin to itch and burn, will spurn even the slightest brush of cotton, flannel, polyester blend. In her case, the outcome is considerably worse—particles penetrating to the center of her, cooking her organs from the inside. It is sobering (though, for Drew Stephens, only in one sense of the word) to consider how similar these processes are, how different their outcomes. Those desperate, unemployed summers of mine, or those days of self-inflicted poverty in college and grad school, scraping together quarters for a six pack of Budweiser, were not exactly life on the edge. They are a far cry from Drew Stephens numbing his sore back with beer after beer. Just as his problems are nothing to Karen Silkwood’s. My struggle was a struggle borne of privilege: The question was never, “Can I find a job before I starve to death?” It was, “Can I find a job soon enough that I don’t have to spend another week living in a comfortable but slightly humid basement?” I was born into working class circumstances, but my mother took me and my brothers out of that world before we were old enough to understand it. My father’s side of the family is a working class family, but I’m not one of them. In younger, stupider days, I wielded half-remembered references to unions and auto plants in hopes of retaining the working class credibility that would have been fashionable among my middle-class liberal circle. But I don’t know that struggle. My brief bout with unemployment, and my complete inability to cope with the feeling of hopelessness and frustration that it created, was enough to convince me that I’m not made of particularly strong stuff. I’m too soft. When the weather gets warmer, and my reptile brain begins to demand “real beer,” what I’m really after is a connection with the past. It’s an irony that we are always most nostalgic for the times in our lives when we were most miserable. Nostalgia is a way to stay connected to something that defines you. It is a way to feel the fire that forged you without being burned by it. We’re barely even a year past the summer of 2013, and I’m already nostalgic for the urgency that my life had then. When I was living it, I had the feeling that it would be, for better or worse, one of the most memorable years of my life. I doubt whether this is ultimately a sustainable way of living, to spend less eventful times yearning for the turbulent past, and spend the turbulent moments looking ahead to the days when you’ll look back and romanticize it. Better to reckon with who you really are, if you can bear to face it. Does Drew Stephens feel this same nostalgia? Would Karen Silkwood feel it, the real Karen Silkwood, had she not been killed in a highly suspicious car crash on the eve of an interview that would have blown the Kerr-McGee scandal wide open? Both people were real. Silkwood is based on a true story. Does he miss those days, the house radiating heat, the agitated molecules of the air flowing around his skin until it begins to swell and sweat and swelter? Does he look down at his can of Coors Banquet, remembering the cold tingling of the carbonated liquid against his body, the way it cooled him in the humid thickness of the Oklahoma summer? Does he think of those desperate months, fighting alongside the woman he loved to make the world better, as the peak that preceded a long downward slope into mediocre, workaday living? Or has he learned, at last, to move forward, to stop measuring himself against the yardstick of a younger, handsomer, but ultimately more naïve self? Has he learned to get on with his life?